Up until last year, the NSW Fire Brigades had a records management system that had been in use for over ten years. As a very large organisation with over 4000 staff spread across the State and as an organisation that performs a high risk and critically important role, Fire Brigades had a significant business need to make its digital information more accessible to all its staff. Part of the eventual solution was to implement carefully structured metadata. To replace their old system, Fire Brigades began by looking at its business needs. The key driver was information accessibility, but they also wanted the ability to secure certain records dealing with personnel issues, fire risk assessments etc against inappropriate access. Given the large volume of records created daily in the organisation, they also wanted the ability to apply records management controls to greatly facilitate the management of these records. They also wanted a system that was very simple and intuitive for end users to use. To find a system that met these needs, Fire Brigades used the Contract 2602: GSAS Information Asset Management Systems (IAMS) Software Applications. They selected the software application from this list that best met their needs. As part of their system implementation project Fire Brigades also assessed their current metadata practices, their business needs, the metadata capacities of their new system and the metadata requirements in the Standard on digital recordkeeping. They noticed that their old system contained a lot of inconsistent metadata that was making information retrieval difficult. Different staff were using the same metadata fields in different ways which made consistent use and management of the records more difficult. In their new system they decided to implement clear rules to specify what information needed to be captured into each of the required metadata fields. They also identified the mandatory metadata requirements of the Standard on digital recordkeeping and mapped these to the relevant fields in the new system to ensure that they were capturing the basic minimum metadata requirements. 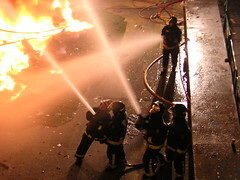 Fire Brigades also decided to improve the picklists or encoding schemes that are used to populate some of the metadata fields. Improving these encoding schemes and providing a specific list of preferred values to staff as a default picklist of terms made metadata capture easier for staff and resulted in more consistent and useable data being captured in the system. From its launch the new system has been performing well, with Fire Brigades reporting to us that staff across the organisation have been keen to start using it and taking advantage of the time savings and greater reliability of business information it offers. Due in no small part to some thought going into how metadata could be configured and managed during the system design. « Digital archivists and business information managers in demand according to Gartner, Inc.